Don’t be intimidated by the fancy, ‘food network’ name, this soup is soup-er easy to make. See what I did there?! I’ve been waiting and waiting for the opportunity to use gnocchi for a soup recipe and this here does not disappoint. Of course if you’re anti-gnocchi, you can use potatoes instead… but then the dish won’t sound quite as fancy. Your call. Just know that when it comes to hearty stick-to-your-ribs type meals, soups and pastas are ALWAYS the answer. Oh and cheese! Cheese makes everything better. 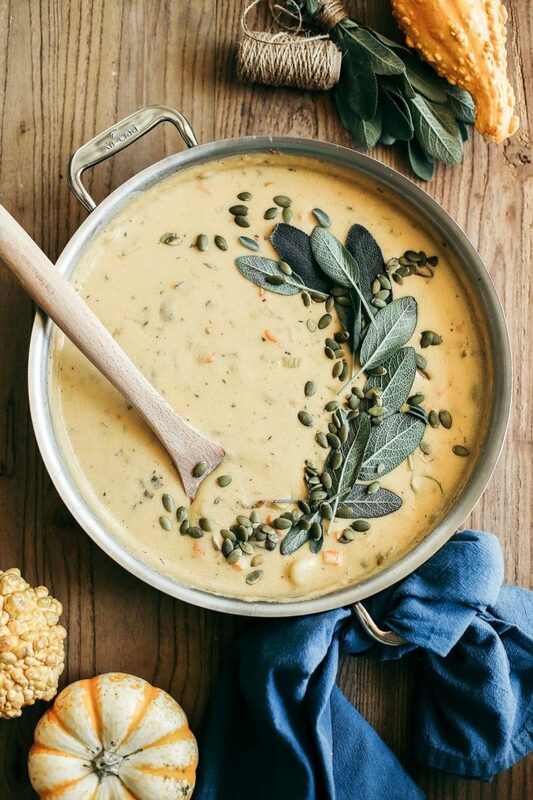 Anyway, I found this recipe at the The Whisking Kitchen, and it is everything that you could possibly want from a Fall soup. Hearty and cheesy and pumpkin-y! You must try this!!! You guys, this soup is incredible! It’s like all the comfort of mac and cheese mixed with all the gooey of an amazing cheese dip perfectly captured in soup form. Grab a baguette and dig in! Source: Pumpkin Beer & Sharp Cheddar Gnocchi Soup and BIG Changes! I have missed fall so much this year–my 3rd since moving to Morocco, then the Caribbean. You’ve inspired me to make some fall with this recipe. Looks delicious! Wow! Morocco and then the Caribbean! That’s so amazing. I always wondered what it would be like to live somewhere that doesn’t have the change in seasons that I’m used to. I really hope this recipe brings you all the joy of Fall!! !